When you are joining hundreds and thousands of other people to a concert, why not be different, outstanding and noticeable? Instead of just going to the concert, make a night of the event and party it up out on the town with your significant other or with your friends. 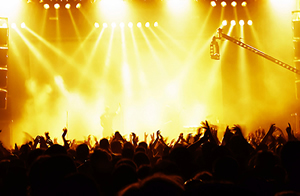 Concerts have a wide variety of genres, class, styles and presentations. Each concert can define the people that attend, and the people that attend can also define the concert. If you want to define a concert instead of being defined by attending it, then consider a concert limousine rental that will kick up the party a notch, and give you a reason to party it up all night long. With a limousine service from Toronto Airport Limousines, you can get a vehicle that can take you and all of your friends from your homes to the concert hall or and on to anywhere else you want to go. Our drivers are professionally trained and elegantly dressed to match your venue and ensure you present yourself in style. We believe in dedicated services, and as such, our driver will wait for your concert to finish, and will be ready to pick up your party immediately after the concert from the front door of the theatre hall. From there, we will take you anywhere you need to go. In addition to the service and the elegances of our drives and vehicles, our vehicles are fully equipped with wet bars, drinks and refreshments that can become part of your enjoyment for the night. Help yourself to our complimentary bar drinks without holding back. Serve yourself and your friends with high-end selections of beverages and make the night as classy as you could imagine, and even indulge yourself with our complimentary snack bars. Enjoy a few drinks and toast the night on your way to your group dinner at a classy restaurant. Toronto Airport Limousine rental services can help you complete the night. After a long night of concerts, music and dinner, we will take the responsibility of picking you and your guests up, and getting you home, all without the hassle of worrying about parking, driving or traffic. Our drivers are conscientious, safe and alert. They are dedicated to the safety of their guests and their vehicles. You can be sure that the only worry you have is that your night is over and all that is left is a big smile on your face. With our concert limousine service, you can be sure your concert experience will be golden and memorable for the rest of your life.